Mr. Renda's practice concentration is marital and family law. 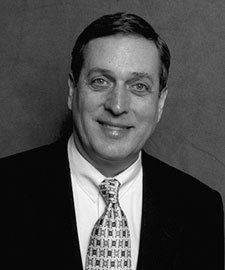 Admitted to the New York State Bar in 1969, Mr Renda received his Juris Doctorate from the State University of New York at Buffalo. Mr Renda is a frequent lecturer on various topics of martial and family law including custody, equitable distrubution, trial practice, appellate writing, appellate advocacy and ethics. Biases in Computation and Enhanced Earnings for Individuals whose Income is not "Average" and a Proposed Solution. NYSBA Family Law Review, Summer 2005, Vol. 37 No. 2 @ p. 11 et seq. - Co-authored with George Palumbo, Ph.D. and Richard Shick, Ph.D. Enhanced Earnings and the Valuation of Closely Held Businesses: The Special Case of Individuals Whose Abilities Are Not Average. NYSBA Family Law Review, Summer/Fall 2007, Vil. 39 No. 2 @ p.26 et seq. - Co-authored with George Palumbo, Ph.D. and Richard Shick, Ph.D.